If you have ever done your own travel planning for a trip on your own, then you know how time consuming it can be. You need to look into and search for airfares, accommodation, transportation, places to go and things to do. All of this can sometimes be a bit overwhelming. Youth Travel Tour Operators specialise in there chosen area and will take all of this angst away of trying to do it all yourself. We list all the major tours operators in the Youth Travel market. The only thing that you need to do is make up your mind when and where you want to go and then BOOK and GO. Youth travel tours allow young people in the 18-30 something range to experience and learn about other cultures with other like-minded travelers. On a youth travel tour, you will develop friendships and memories that will last a lifetime. Young people are taking trips with and getting themselves on youth travel tours like never before, with many international destinations being the popular choice. There is a wide range of choices all over the world where it is possible to book a youth travel trip for 18-35 year olds. Some of the most popular options, which already have a network of youth tour operators available, include Europe, Australia and New Zealand, as well as Canada and the United States. Many of these destinations are predominantly English speaking and therefore less of a challenge to navigate for many travellers. There are increasing numbers of young people signing up for these types of tours. They appreciate having professional guides escorting them on their trips and it is not uncommon for guides to be in the same age group as the travelers. Backpackers and others, who plan their own vacations and trek around the world alone, could miss out on the many advantages of using a professional tour company. The Youth Travel section of the 18-35 Travel website is a great resource to get you started for further tips to help you search and book your next youth travel tour. It was 1998 when Busabout first linked up the best cities and destinations in Europe with a commitment to the independent traveller to make their time, cash and experiences go further. By being the alternative choice, they have remained dedicated to the freestyle form of travel with the Busabout hop-on hop-off flexible coach network. This passion to explore the world has also developed over the years into innovative Busabout Adventures, be it island hopping in Greece, Sailing in Croatia, trekking through Eastern Europe or discovering the ancient cultures of Egypt and Morocco. Busabout can even take you to the major European Festivals, like Oktoberfest, Running of the Bulls and La Tomatina. The Busabout Party Trips to Ibiza are also legendary. Busabout staff live to travel and as travellers themselves know what makes an unforgettable trip. With Busabout, sometimes the Busabout representatives will show you around, other times you are free to explore, either way, Busabout hope to give you choice and plenty of local knowledge. Busabout considers themselves simply a bunch of mates who really enjoy what they do. So, by choosing to travel with Busabout, you will be sure to receive the same quality and exceptional good time. Busabout’s "Book & Go guarantee" means once you have booked, your trip is absolutely guaranteed to run as Busabout never cancel trips. If you're looking for Busabout Special Offers then they always have montly deals on offer too. 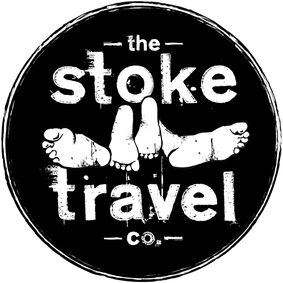 Stoke Travel started out in 2006 running surf camps in Spain and Morocco. Shortly after, they decided that surfing wasn’t going to be enough, so they tried their hand at Europe's biggest festivals. Nowadays, as well as running their surf camps and festival trips, they also offer snow trips, short-breaks and weekend trips to numerous cities across Europe. Stoke Travel now carries over 20,000 guests a year to 25 different destinations, in 14 Countries on 3 Continents. An amazing growth for a company that has been around for just 8 short years. Stoke is all about the party and on most of their trips you can upgrade for a small price to an unlimited all-you-can-drink beer and sangria package. Stoke Travel say their customers are participants in the experience, not observers and they create an environment where you feel you ‘own’ your trip. Their new innovation is a multiple festival travel pass called the Stoke Passport. Stoke Travel say that they are “the hedonists” choice for European Travel. So, if throwing a tomato at a bull whilst riding a surf board in a beer tent at the Oktoberfest is your way of having a bit of fun, then you need to get in contact with the guys at Stoke Travel. at the time of booking, you will pick yourself up an Unlimited FREE beer and sangria package on one of the Stoke Festival Trips and some other great offers for their other trips! Contiki is a coach tour company operating in Europe, Russia, Egypt, Australia, New Zealand, North America, Latin America and Asia. 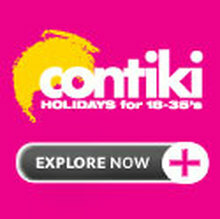 Contiki claims to be the most popular youth travel company in the world, carrying over 150,000 passengers worldwide. More than fifty years ago the Contiki story was first created when a young New Zealander embarked on a journey across Europe. He bought a minibus and gathered together a group to travel with. At the end of the trip he was unable to sell the minibus so the following year he decided to promote his Europe trip again and this time he was able to fit two trips into the summer season. The result was the birth of Contiki Holidays. The first Contiki tours were booked by 19-29 year-olds starting the tradition of Contiki being for youth travellers. Contiki is the original travel company for 18-35 year olds and remains the worldwide leader in tours for 18-35 year olds, offering an unbeatable mix of sightseeing and culture in over 40 countries across 6 continents. Contiki are the 18-35 European tours specialists and they create hassle-free vacations for like-minded people who share a passion for discovering amazing places and are trusted by travellers all over the world. • Superior Tours also known Time Out Tours. Each style has a mix of sightseeing and free time with the main difference between the styles being the accommodations used. Travellers on Budget and Concept Tours are usually put up in hostels or specialised Contiki Villages. Contiki Villages, also known as Contiki Special Stopovers, are specifically made for Contiki travellers and are manned by Contiki representative staff. Many of the travellers are singles or students touring on a tight budget, but it is also common for couples to choose this tour. Superior Tours generally stay in Superior Class Tourist Hotels and also include in-depth Regional Tours, and Cruising Tours. Contiki can even take you to some of the biggest festivals across the globe, like Rio Carnival, Oktoberfest and the Calgary Stampede. Plenty of Contiki Last Minute Specials are also on offer, so make sure you check out the Contiki website for their current specials. Topdeck Travel offers an impressive product range giving young 18 to 30-something travellers the chance to explore incredible destinations in Europe, Australia, New Zealand, Egypt, Morocco, the Middle East, North America and Africa. When it first commenced operations back in the 1970s, Top Deck Travel was up against many other tour operators vying for the youth tourist business to Europe from London. Back then Top Deck Travel took a different tack and introduced travel on a series of individually named red London double decker buses, combining travel, accommodation and living all in one. Today they continue to seek out and explore the hottest new travel destinations and Topdeck's European trips cover every corner of the continent, and while the days of 'deckers' may have passed, they've been replaced by a fleet of modern coaches and some of Europe's finest budget accommodations. 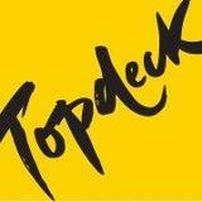 In 2013 Topdeck celebrated its 40th birthday, and while many things have changed in the past 40 years, one thing which has always remained the same is the spirit of adventure and passion for travel Topdeck has had since day one. It's this desire for providing young travellers with unforgettable experiences which has underpinned several years of exceptional growth. In each destination they aim to provide the hallmarks for which Topdeck have become renowned, which is relaxed, informative trips led by knowledgeable crew, with great inclusions, tasty meals, plenty of free time and like-minded young travelling companions to share the experience with. HAGGiS Adventures pioneered the budget backpacker experience back in 1993 when a dynamic team of Scots established a backpacker travel company that broke the mould. Fully guided trips that allowed intrepid young adventurers to discover Scotland with the best, most knowledgeable Scotish Guides leading the way. HAGGiS has built its reputation through word of mouth recommendation and having started with just one trip now run a whole range of award-winning adventures throughout Scotland. HAGGiS Adventures have always stuck stubbornly to their mission – to make every trip they run the best yet. HAGGiS Adventures believe that a country's culture, history, myths and legends can only truly come to life through a local and that you can have an incredible time travelling on a budget. Therefore choice is at the heart of what they do. If you're looking for some uniquely Scottish cultural experiences, then you should also check out their Hogmanay and Up Helly Aa Festival Trips. HAGGiS Adventures also have a book and go guarantee and mean just that as they have never cancelled a single trip. They claim that you have made the effort to come and explore their country so the least they can do is show you around. If you're looking for HAGGiS Special Offers then they always have montly deals on offer too. In 1999, Shamrocker Adventures started running trips throughout Ireland with their mission to give independent budget travellers the chance to really discover Ireland and remember it as one of the best times of their life. Shamrocker Adventures want their passengers to meet genuine Irish locals and experience this vibrant culture first-hand and they make sure you get a tremendous insight into their country, meet real local characters and discover what it means to be Irish. If you have yet discovered this beautiful part of the world, then get ready to be seduced by the stunning scenery and incredible history, but most of all the Irish people. Shamrocker Adventures consider it their duty to make everyone’s’ experience of Ireland the most welcoming they get on their travels. They also like to get out there and do stuff. But at the end of an active day through Ireland’s countryside and its forty shades of green, there are good times to be had at a place central to much of the Irish culture – the pub! All Shamrocker Adventures guides are 100% Irish born and bred. Full legends in their own right and who have more stories and knowledge of history than you would think was possible. They are the real deal, master storytellers, yarn-spinners, tall tellers and total legends. Possible living proof that kissing the Blarney Stone really does mean you will have the gift of the gab for the rest of your life! These guys know and love their country beyond words. Shenanigans are guaranteed and as they say in Ireland, the craic will be mighty! In over 14 years of running their tours Shamrocker Adventures have never cancelled a trip – No blarney! Being an independent traveller is at the heart of Shamrocker Adventures philosophy so they don’t package everything up with stuff that their passengers may not want to do. You get to spend your money how you want to, be that on type of accommodation, meals or Shamrocker Adventures optional ‘extras’. If you're looking for a great Irish experience, then you must check out the Shamrocker St Patrick's Day Trips Trips and Shamrocker Special Offers and montly deals are always on offer too. The Stray Bus is the New Zealand guided hop-on hop-off bus network. Stray can take you to some of the most amazing places and give you an unforgettable experience whilst in New Zealand. As well as this, Stray recently introduced a fully guided all-inclusive tour option called Stray Journeys. Stray trips are definitely for those looking for an active vacation, with walking, the outdoors and wildlife in abundance. However, Stray does cater for all fitness levels and all activities are optional. With Stray you will get to visit and stay in fantastic locations across the country, with many exclusively for the use of Stray. Places that you might stay include a high country sheep station, a wildlife stopover on Stewart Island, a lodge in native bush, a Maori cultural stopover, as well as a night by NZ’s highest mountain. Most Stray travellers are between 18 and 35 years old, but if your an older independent traveller, I’m sure you will have a great time with Stray as they’re more interested in your attitude than your age. With Stray, you will make life-long friends and within a few days it will feel like one big holiday with your friends. Quite often there will be plenty of Stray Special Offers around with some big discounts on the Stray Passes and deals for Stray Journeys. So if you're keen to meet other active travellers, push your limits and get involved in the local New Zealand culture, then jump onboard the Stray Bus. Bus2alps is Europe's number one student tour operator, but they are more than just a tour operator. They are your travel partners and your friends. Bus2alps strive to bring you a fun, safe and high quality experience that that you would expect when travelling. Bus2alps began in February 2003 after a train strike in Italy left students stuck in Florence, unable to reach Interlaken. By reacting to student demand, Bus2alps has more than doubled its rate of growth every year in terms of customers, in addition to the number of destinations and departure cities. Bus2alps has since expanded to four departure cities (Florence, Rome, Barcelona, and Prague), travels to over 40 destinations, and has students joining trips from all over the world. Bus2alps offers a "Fly From Anywhere" option, bringing their top quality experience to any student, anywhere. Each Bus2alps trip is carefully planned and consistently updated to provide the top quality to the customer. Bus2alps say their trips are not just group tours, they are an opportunity to experience travel with helpful guides happy to assist you on your current trip as well as with any travel plans in your future. They've carried over 100,000 passengers, and are always striving to bring more students across Europe to experience travel in a fun and efficient way. Whether you want to take a weekend trip to the Amalfi Coast on Bus2alps's award-winning tour, or go on a day trip for some wine tasting in Tuscany, or head to the beaches of Cinque Terre, or explore Greece or Europe's best cities on a 10-day break, then Bus2alps have you covered for this and so much more.